While we don’t have a full understanding of the exact mechanisms that underpin this interesting phenomenon, we do know that we cannot survive without sleep. For one reason or another, sleep appears to be integral to the maintenance of normal health and function, while also providing your body and mind time it needs to recover the accumulation of daily physical and mental stress. In fact, after as little as 24 hours without sleep, you will start to see cognitive impairment, declines in mood, and even some digestive discomfort. Wait a full 72 hours and it is highly likely you will start to hallucinate, experience paranoia, nausea, severe declines in mood, and see a huge decline in cognitive capacity – meaning that your ability to function as a human will drop like a stone. In a similar vein of thought, if you consistently have poor sleep quality over a longer duration of time, expect to see implications for both cardiovascular and metabolic health, chronic cognitive dysfunction, and even an increased risk of mental illness. Which is why optimizing sleep and ensuring that you get the recommended 7-9 hours per night is essential to your health. But, as I’m sure you know, getting good quality sleep can often be easier said than done. Which is why we have been doing our absolute best to bring you some of the easiest, affordable, and effective ways of enhancing your sleep quality – which also brings us to the topic of today’s article – earplugs. As most of you would be aware, earplugs are ultimately a device designed to be inserted into the ear as a way to prevent the ear damage that can be caused by loud noises, or the intrusion of liquid, foreign bodies, dust, and bacteria into the ear canal. Earplugs were first designed as a means to enhance occupational health and safety, hence their common use in individuals who use both power tools and heavy machinery within their specific working environment. They have since also become quite common in scenarios where people are working with dirty liquids, and in dusty environments. 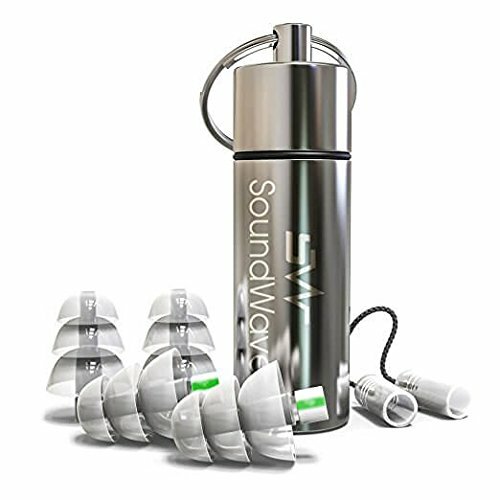 With this in mind, earplugs have traditionally been designed to be disposable, and are subsequently made from a unique foam-based material that molds to the shape of the inner ear. More recently, earplugs have actually moved into the bedroom, with people suggesting that they may have the ability to enhance sleep quality when used on a nightly basis. 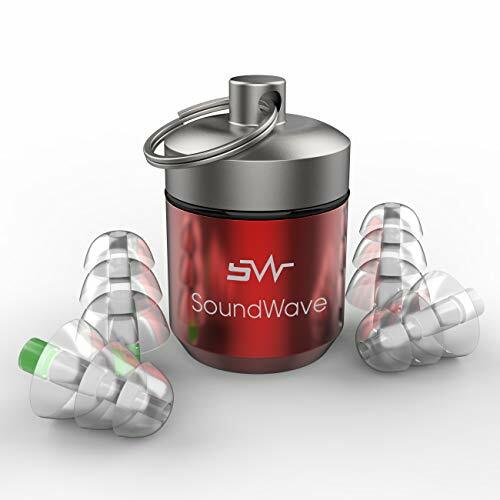 With this has come a change in earplug design, in which they have been built using higher quality materials – and can subsequently be used more than once. But do they actually work as advertised? How do Earplugs Benefit Sleep? In modern day, the world can be a pretty a noisy place. Other people living right next door, the noise of constant traffic, and of course the constant hum of your refrigerator and other electronic devices – there is a fait bit of audible stimulus in the surrounding environment at all times. Now these sounds can stimulate key receptors within the ear, which in turn send signals to brain, increasing sensations of alertness. This stimulation essentially induces a state of wakefulness, making it challenging to fall asleep. With this in mind, earplugs have been shown to significantly reduce this audible stimulation, thus increasing sensations of relaxation and tiredness at night. In this manner, research has demonstrated that individuals who implement earplugs into their bedtime routine on a regular basis tend to fall asleep quicker than they did prior to using earplugs . Moreover, these same individuals will also experience a deep, less restful sleep, while also being less likely to wake throughout the night [2, 3]. 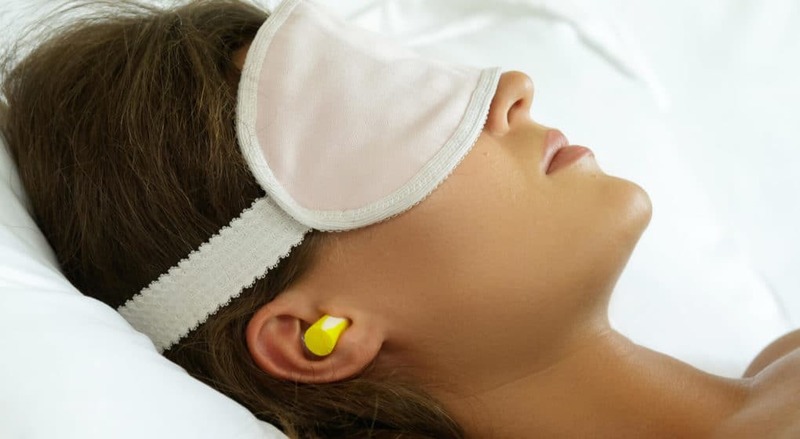 As a result, earplugs appear to offer the perfect means to enhance sleep quality and duration, helping ensure that you get your 7-9 hours per night. Given the huge impact that earplugs can have on sleep quality, we went out and found some seriously effective options that you an begin to implement immediately into your nightly sleep routine. While the name may suggest a lack of seriousness, these great option for Eargasm could not be any more serious – seriously! 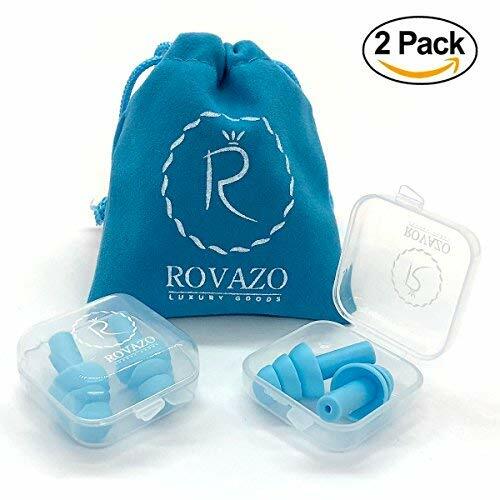 Coming in a durable aluminum carry case for travel, these reusable ear plugs are some of the highest quality on the market. Made using soft silicone for the perfect fit, these great plugs can block sounds of up to 16 decibels completely – making them one of the most effective earplugs we have ever seen. Our next option is another fantastic choice. Again, designed using high quality silicone, these reusable earplugs are comfortable, efficient, and effective. Not to mention they also come in a handy travel pack, making them perfect for the overnight trip. Coming in a touch under 10 dollars, these are also the perfect mix between quality and affordability, making them perfect for those on a tighter budget. 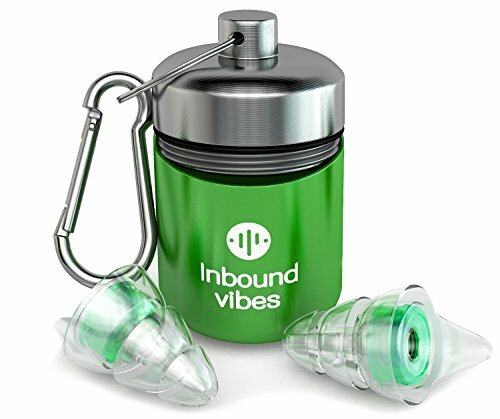 Much like our first option be Eargasm, this great product by Inbound Sound has been designed using some of the highest quality silicone going around. 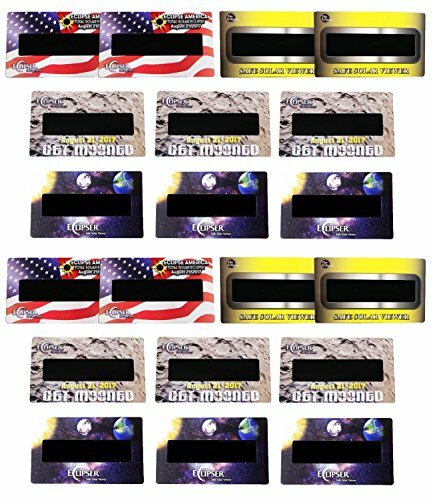 This has resulted in an extremely durable and comfortable product that is guaranteed to block out nearly every noise you could possibly hear overnight. This is a great choice! Last but not least, we have our final option by Soundwave. 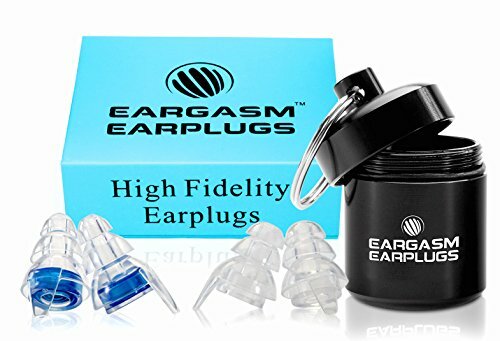 Opting for a unique spiral design, these earplugs are extremely comfortable, in which they fit snugly within the depths of the ear. Within this, they have been designed using high quality silicone, and are guaranteed to block out any annoying noise that plagues you overnight. This is the perfect mid-price option, that also comes with a handy travel case and second pair – just in case you happen to misplace one of them. Ensuring that you get adequate ­high-quality sleep per night is essential to maximizing both your health and your ability to function on a day to day basis. With poor sleep quality being linked to the onset of disease and illness, taking the necessary steps to enhance sleep is truly integral. Which is where earplugs enter the discussion. By blocking sounds that stimulate the brain from entering the ear, earplugs can improve your ability to fall asleep, while also ensuring that you have a deeper sleep throughout the entirety of the night’s duration. As always, if you have had any experience using ear plugs then we would love to hear about it – so drop us a comment and we will get back to you ASAP!